While it’s not much of a surprise to learn that piano music can be a relaxant and de-stressor for humans, it might be less obvious that our canine friends can also benefit from the right kind of music. That’s the view of Lisa Spector, who attended the prestigious Juilliard School and now runs a company creating piano music and a physical music player designed specially for dogs. 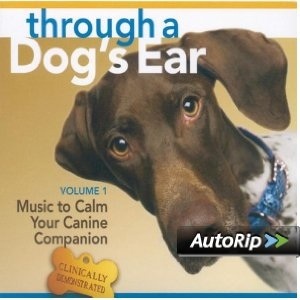 “Through A Dog’s Ear” is a range of music CDs and downloads based on simplified versions of classical music and with the higher audio frequencies removed so as to be more appealing to potentially anxious and stressed-out dogs. So far they have sold over a quarter-of-a-million copies. Their newest invention is the iCalmDog portable music player preloaded with the specially arranged music. The elliptical unit can play for between 5-12 hours on a single battery charge. Pet-owning users claim that the device and music calm their dogs, allowing them to relax when otherwise they might be nervous or scared of their human-centric surroundings. Although much of the evidence is anecdotal, two studies have been undertaken with veterinary neurologist Susan Wagner which gives some empirical support for the music’s calming effects. Many animal shelters in the US and overseas use the recordings to maintain a more relaxed atmosphere. There’s even another version for cats.